Try a Handy Hay Net for 30 days RISK FREE. You may return your hay bag for any reason 30 days from the date of purchase. Customer pays all shipping fees. Receipt required. This guarantee does NOT cover damaged nets with chew holes. Animals sometimes do put holes in Handy Hay Nets as they are getting used to slow feeding, for this reason we will supply you with repair twine within 60 days of your purchase at no extra cost. Customers should be aware that returns of non-defective bags will be subject to a restocking fee and the cancellation of orders will be charge a administration fee based on the credit card processing company fees charge to reverse the transaction. The staff and/or owners of Kootenai Equine and Handy Hay Nets are not liable (responsible) for any incident, damage or injury to human or animal from the use of any of our products. Please use common sense and caution with any slow feeder hay nets and supervise your animals as they become accustomed to them. When using Handy Hay Nets with shod horses, the bags need to be hung high or placed in a feeder or tub to prevent pawing. They should not be used with horned animals or haltered horses. Blanketed horses need to be supervised. Check out some video ideas for keeping animals safe. 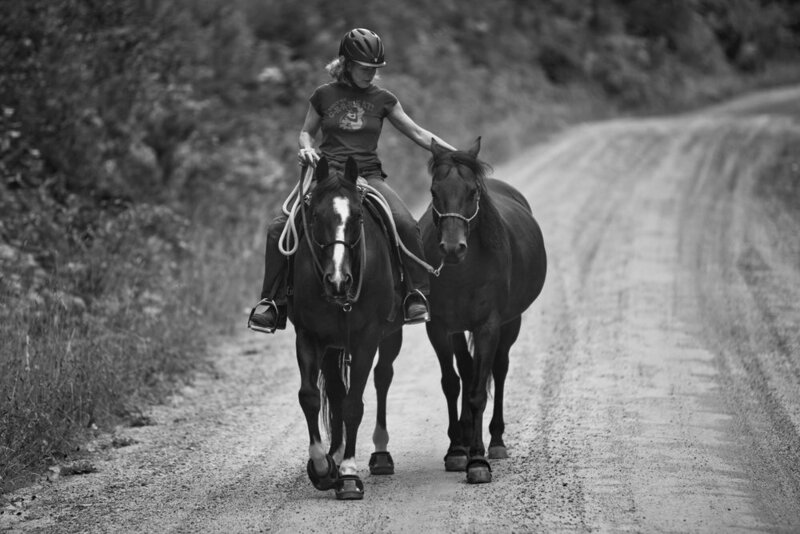 Read the guide for getting started with horses.